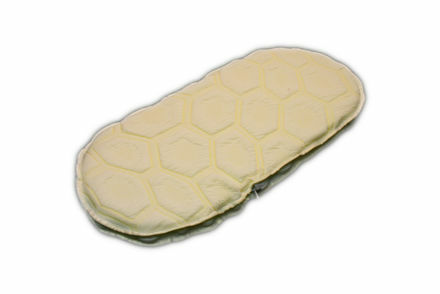 Eco-Shield Covered Mattresses - Discount Ending Soon! There is still time to take advantage of our fantastic special price offers on Eco-Shield Covered Mattresses, perfect for ensuring your child gets a good night’s sleep whatever the weather. Order with complete confidence now to save £10 on these superb products, available from Baby Mattresses Online in any size you require. 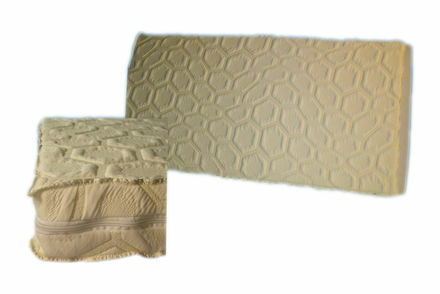 The innovative fabric covering of these quality cot mattresses is infused with the soft, soothing scents of citronella and eucalyptus, combining to create a wonderfully restful atmosphere for baby. Both of these scents are also renowned for their insect-repellent qualities, meaning an end to the unwelcome presence of dust mites, bedbugs, moths, mosquitoes and more. You can choose from our full range of cot mattress fillings, from traditional foam and springs to natural wool and coir, to be covered with Eco-Shield fabric. Fully breathable, the material offers exceptional water resistance and can be quickly removed for safe cleaning in an automatic washing machine. For extra protection, Baby Mattresses Online can provide a pre-fitted, wipe-clean, waterproof PVC sleeve for the mattress, absolutely free with our compliments. Eco-Shield Covered Mattresses are supplied in a wide range of sizes from junior bed down to travel cot - you can also specify your exact size requirements. Rest assured that all aspects of this product, from design to manufacture, are covered by stringent quality control tests and meet all relevant official standards such as BS 1877 (safety & performance) and BS 7177 (flammability). This quality product is now available from only £14.50 in our Summer Special deal. Need baby bedding and/or spare covers? Order cool Cream or bright White at the best possible price from Baby Mattresses Online. Place your order quickly and easily using our drop-down menu option system, using the ‘Special Instructions’ box to tell us about particular size requirements. Then sit back and wait a short time for your superior Eco-Shield Baby Mattress to arrive!